Wilfrid Almendra is a French-Portuguese artist who lives and works in Marseilles, France. He is in Bulgaria at invitation of Sariev Contemporary as first resident artist selected to participate in Sariev+Markov Artist Residency - a project in the framework of the initiative Sariev+Markov sculpture projects, which aims to give opportunity to professional artists selected by established curators to produce a sculptural work in the sculpture foundry Markovstudio, Sofia and present it in collaboration with Sariev Contemporary in front of larger audience. 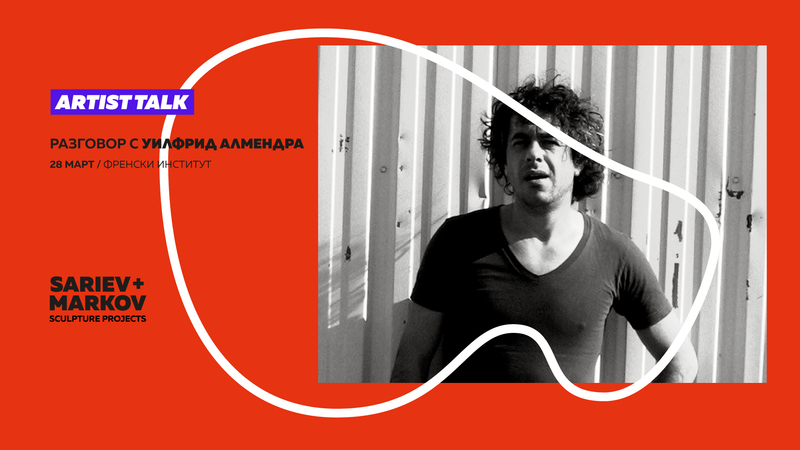 During his visit in Bulgaria, the artist will share in the form of artist talk to a wide audience about his international experience and expertise in the field of contemporary sculpture and the importance of art in public space. Recent solo exhibitions include Clark House, Bombay (2018); Centre Bastille, Grenoble (2018); Palais de Tokyo, Paris (2017); Fogo Island Arts, Canada (2016); Chelles art center, Paris (2014); Passerelle art center, Brest; Fondation d’Entreprise Ricard, Paris and Parc Saint Léger art center (2013). His work has been included as part of many international group shows, including „Singing stones“, Dusable Museum, Chicago, USA (2017); „Souvenir du XXIème siècle“, Paris (2016); „MuThe Other Sight“, CAC Vilnius (2015), „Let’s Play“, part of Playtime, biennial Les Ateliers de Rennes; „The Brancusi Effect“, Kunsthalle Wien, Vienna; „Parapanorama“, Palais de Tokyo, Paris (2014); „Fieldwork“, Marfa gallery, Texas, USA; „Vue d’en haut“, Centre Pompidou, Metz, (2013); „Skyscraper: Art and Architecture Against Gravity“, Museum of Contemporary Art, Chicago; „Prestige“, Culture Communication Center, Klaipeda, Lithuania (2012); „Making is Thinking“, Witte de With, Rotterdam (2011); „Perpetual Battles“, Baibakov Art Projects, Moscow; „Retour vers le futur“, CAPC, art center Bordeaux (2010). The workshop is realized in partnership with the “Art and Public Space” program of Vaska Emanouilova Gallery, branch of Sofia City Art Gallery. The workshop will take place in the form of a passage in the city from its central part, with starting point Vaska Emanouilova Gallery, to the most northern quarter of Sofia - Trebich, where Markovstudio is located. Together with the artist, the participants will comment on the materials, the forms, the objects and the various aesthetic elements of the urban environment. The workshop provides the opportunity to meet and share experiences. It is aimed at all those interested in contemporary sculpture and the presence of art in the urban environment. To participate in the workshop you have to apply up to 27 March by sending a short cover letter, stating why you would like to participate and what your expectations from the event are, to Galina Dekova, project assistant (Vaska Emanouilova Gallery) at galinadekova@gmail.com and with a copy to Detelina Garbatova (coordinator of Sariev+Markov sculpture projects) at assistant@sariev-gallery.com. The working language of the workshop is English. The available places are limited! Approved entries will be confirmed by 28 March. Sariev+Markov sculpture projects is a joint initiative of gallery Sariev Contemporary and Markovstudio, which aims, through various activities (residency, educational module consisting of artist talks and lectures, workshops, open doors studio, as well as exhibitions and collaborations with public institutions) to establish a field for creating and presenting sculptural projects for the public space, as well as an environment for discussion and development of such projects, in Bulgaria and abroad. 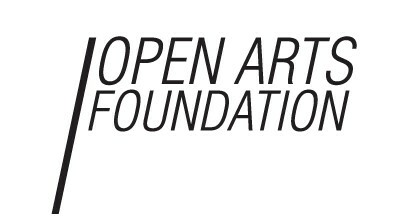 The first projects within Sariev+Markov sculpture projects are realised in partnership with French Institute, Sofia Municipality, Sofia City Art Gallery and its branch Vaska Emanouilova Gallery, Open Arts Foundation. 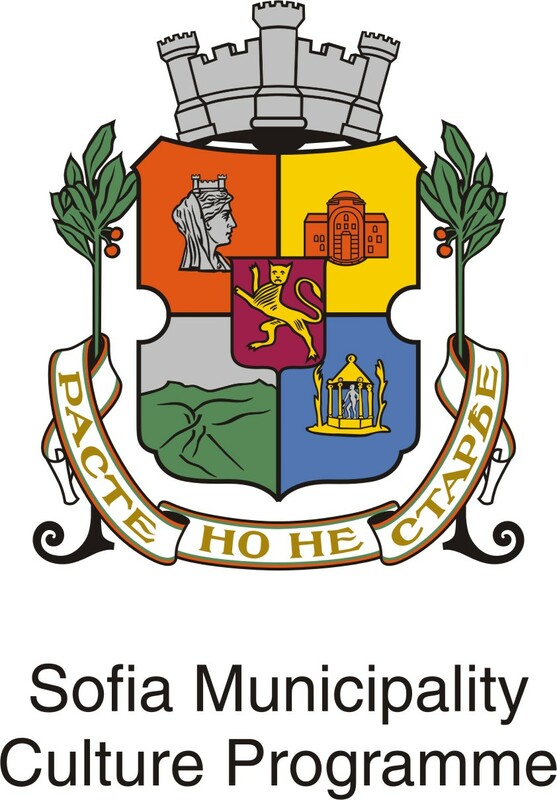 The project is funded by the Culture Programme of Sofia Municipality. The “Art and Public Space” program of Vaska Emanouilova Gallery, branch of Sofia City Art Gallery, aims to draw attention to the understanding of art in public space as well as to its social and cultural mission.